As readers and writers, we are often contemplating the likeability (or dislikeability) of our protagonists -- and those in our favorite books. In this recent post, writer Rosslyn Elliott talked about character flaws, asserting that for characters to make lasting impressions on a reader, they must be flawed and their flaws must be authentic. Very true. I mean, how many times have you read a book and thought: No one is this perfect! Or: Well, she made one little error in judgment, but other than that she did everything exactly right. How boring. On the flip side, readers often adore books with despicable -- or at least, highly flawed -- characters (think Wuthering Heights and Gone with the Wind). 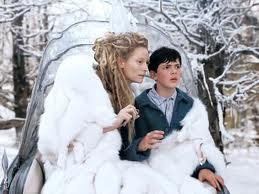 Even little Edmund in The Lion, the Witch and the Wardrobe almost destroyed Narnia with his insatiable greed. Yet we root for him. Sometimes a writer is so good we even find ourselves rooting for a real villain. There's a no right or wrong way to frame it, but the hero or herione must be real/imperfect in order for readers to deeply feel something. Why? Because that means they're like us. They can change. They can learn. They can grow. They can be mostly likeable people who make some terrible choices. Or they can be decent people stuck in impossible situations. Or they can be wretched people making others’ lives miserable. Many unlikeable characters are extremely passionate about something -- even if it's the wrong thing. 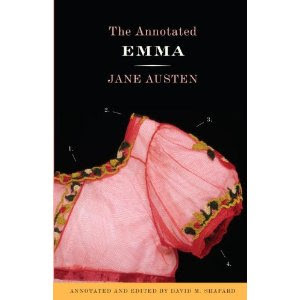 Emma is one of my favorite protagonists. She’s intelligent, but a bit conniving. She’s caring, but also meddlesome. In short, she has authentic flaws. Who are some of your favorite flawed characters? Do you prefer protagonists who are nice guys/girls, villains, or somewhere in between? I do like nice characters, but they can't be too perfect. When someone is shown without any flaws it's just completely unbelievable. If you're so nice to everyone and only think kind thoughts there's no WAY I'm going to think you're like a real person. One of my favourite flawed characters is Saba from Blood Red Road. She is so hateful to her sister and treats her like crap... she's ornery and hard to get to know... and she thinks her brother is the great person in the world, when likely he completely isn't. Yet she has a softness if you dig deep down. She's so flawed but she's also good and brave and strong and smart. Julia, that's so true! I guess we all have our pet peeves and ideas about about which flaws are acceptable or unacceptable in a character. Interesting. Thanks for the comment! Ashley, your description of Saba is great. She definitely sounds real and flawed. I tend to get turned off initially by not-so-nice characters, but they often can grow on me. And yes, I agree: the protagonist can't be too perfect, either. That's just too easy.